Thank you to our guests, friends and supporters for your contribution, we raised an amazing $160,000 a the 2015 Take Kare Gala. All funds raised at the event will go towards further prevention of alcohol fuelled violence, to realise our vision of “getting all of our children home safely” - through working with the Federal and State Governments, communities, organisations and local councils towards long-term behaviour change to reduce the harms of alcohol abuse through making better choices. Stuart Kelly, brother of Thomas Kelly, addresses over 700 people attending the Thomas Kelly Youth Foundation dinner on Wednesday 16th September 2015. At just 17 years old - his speech was outstanding, emotional, direct and straight to the point. The NSW Police Commissioner Andrew Scipione's keynote speech at the Thomas Kelly Youth Foundation Gala Dinner - held on Wednesday 16th September 2015. Alcohol fuelled violence is dramatically diminished across NSW. The Thomas Kelly Youth Foundation has achieved so much but this is only the start. on Wednesday 16th September 2015. The Hon. Mike Baird MP, Premier of New South Wales and his wife Kerryn. 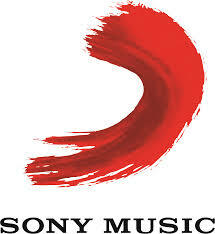 With some amazing entertainment for the night being provided by Sony Music. 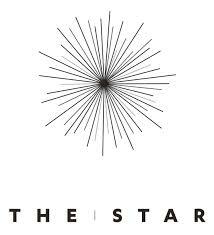 Single Gala Dinner Tickets are $280 per person or a table of 10 guests is $2,800. This includes a sumptuous three-course meal with beverages, live entertainment and an unforgettable evening for you and your guests. VIP Corporate Sponsor - $4,500 for a table of 10 includes a prominently positioned table, gift bag per guest, logo recognition in the program and corporate logo table signage. VIP Supporter Table - $4,500 for a table of 10 includes a three-course meal with beverages, gift bag per guest, live entertainment and an unforgettable evening for you and your guests. 9.00pm - Main Event "Someone Saved my Life Tonight"
David Campbell is one of Australia’s most popular entertainers. A multiplatinum selling recording artist, Campbell has featured on TV, starred in theatre and cabaret, recorded three Top Ten albums, and sold out concert tours from coast to coast. Currently, David is a regular weekend announcer on Smooth FM for the DMG Network, the co-host of the national Mornings show for the Nine Network and was recently nominated for Most Popular New Talent at the 2013 Logie Awards. As Australia's most-promising pop ingénue, all eyes are on Samantha Jade. Despite the US music industry trying to steal her away from us (with an international multiple album record deal), a twist of fate has ensured Australia has her back in our arms. Samantha Jade Gibbs (born 18 April 1987) is an Australian singer, songwriter, actress and former child model from Perth, Western Australia. She has written tracks for artists including JoJo and Ashley Tisdale. Samantha Jade won the fourth series of The X Factor Australia, the first female to win the Australian series. She subsequently signed with Sony Music Australia and released her winner's single "What You've Done to Me", which debuted at number one on the ARIA Singles Chart. Commissioner Scipione joined NSW Police in 1980 following a period of employment with the Australian Customs Service. During his time with the NSW Police Force, he has held a range of positions and appointments. Following experience in general and traffic duties he worked as a detective in the CIB and Bankstown Detectives. He was subsequently seconded to the National Crime Authority in 1985. In 1992 he was appointed to the rank of Detective Inspector at the Joint Technical Services Group and in 1995 was promoted to the rank of Detective Superintendent (Commander) at the Special Technical Investigation Branch (formerly JTSG). During the period 1992 to 1998, he was also a Senior NSW Police Counter Terrorist Advisor to SAC-PAV. In 1998 he was appointed to the position of Chief of Staff to the NSW Police Commissioner and in 2001 was appointed as the Assistant Commissioner in charge of Special Crime & Internal Affairs. He was appointed as Deputy Commissioner in February 2002 and as Commissioner of Police on 1 September 2007. As Australia's leading urban/pop group, Justice Crew have released a string of hit singles since coming to the public's attention in 2010, proving that not only do they possess a versatile and extreme talent, but that their appeal is consistent and prevailing. 2013 saw the group follow up their #1 Aria single "Boom Boom" (6 x Platinum), with a further two smash Aria Top 10 hit singles – ‘Best Night’ and ‘Everybody’, both of which were certified double-Platinum in Australia. The Hon. Mike Baird was elected Leader of the NSW Liberal Party at a party-room meeting on Thursday 17 April, 2014, and was later that day sworn in as Premier by the Governor, Professor Marie Bashir. He is the 44th Premier of NSW. Mike Baird was appointed Treasurer of NSW after the election of the NSW Liberal and Nationals Government on 26 March 2011. In September 2012 he was also appointed Minister for Industrial Relations. Mike had served as Shadow Treasurer since December 2008 and previously as Shadow Minister for Energy, Finance and Youth Affairs. Mike was elected Member for Manly in 2007 after an 18-year banking career incorporating corporate banking, securitisation, debt capital markets and project finance in Australia, London and Hong Kong. from both the silent and live auctions. Check back later for more details. 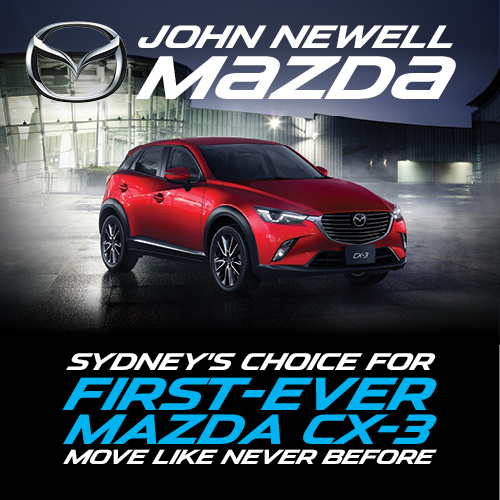 Want to drive away in a brand new Mazda CX-3, 5-seat SUV, Neo, 2.0L I4 Petrol FWD, 6-speed auto? please contact Marika Boyacioglu at Vanilla Bean Events who will be delighted to assist you.